No - I'm not giving my Ultimaker away as a fancy wrapped gift in the image above. I'm just working around the most stupid patent ever granted in regards to 3D printing. 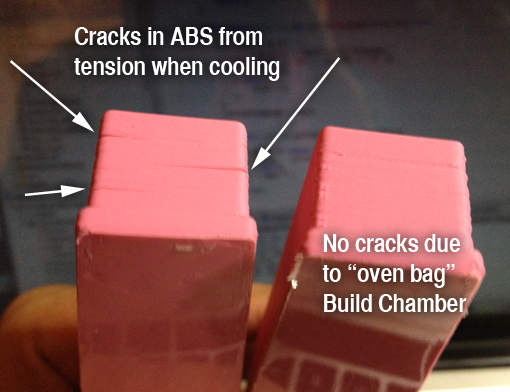 Printing with ABS has one core problem - it shrinks when cooled down by almost one percent. This will cause all printed objects to have clearly visible cracks along the edges where the tension is the highest. It is very easy to solve the problem, but not without breaking a patent that should never have been granted. It's incredibly easy to make a heated build chamber on the cheap. In my case, I used cheap oven bags from my local convenince store as suggested by Andrey on the Ultimaker forums. You just unwrap the backs, cover open surfaces and tape it in place. 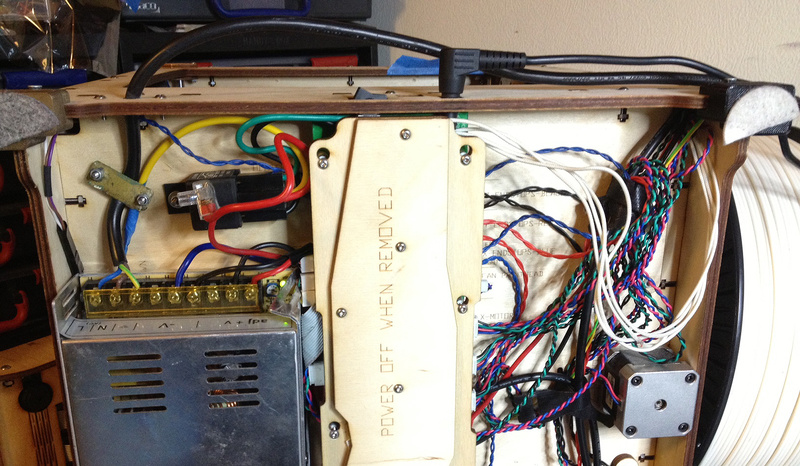 It takes some time to cover it all up, but it creates a fully working Heated Build Chamber. The oven bags are flexible enough to not break and they have no problem withstanding the heat. I have now printed several ABS models using this method and I get no cracks in the surface at all. I also measured the inside temperature and without overdoing the tape along the oven bags, I can easily maintain 60C inside the printer - enough to prevent cracks. It is also important to let the object cool slowly after printing, so I just let the machine stand there until it's cooled to about 30C. Works like a charm and given that we have had ABS plastic since the 1950's - it should be fairly common knowledge that ABS needs to be cooled uniformly and slowly to prevent cracking and warping. In June 2000, the company Stratasys was granted a patent that covers pretty much any way you can think of to cover your 3D printer to maintain a constant temperature as the object is built up. This idea did clearly not originate from Stratsys. It was common knowledge in the polymer business. However - Stratasys applied for a patent on this in regards to their already patented FDM printing process and they got it. The biggest problem with this patent is that it prevents you from doing what is obvious. It should not be possible to patent something obvious, but Stratasys managed to do so anyway. So, patent US 6722872 effectively prevents ANY other firm from creating a printer with an enclosure around the printer that prevents ABS plastic from cracking up. They can of course contact Stratasys to license this or any of the 900+ patents that Stratasys holds. I do not know what terms a small scale 3D printer manufacturer would get, but I doubt it will be interesting to them. Just looking at the list of patents that Stratasys holds makes you cringe. These ideas won't be available to the general public until the patent expires in 20 years. Why is that a problem then? My best illustration for how patents PREVENT innovation is looking at the RepRap family tree. The original FDM patent was filed by S. Scott Crump in 1989. Before the patent expired, there were only the Stratasys models as well as a few licensees. Just look at what happens in terms of diversity as soon as the patent expires! There's now more than 500 different 3D printers based on FDM out there. Now there's REAL innovation happening where crazy ideas are being tried out that Stratasys never persued like delta-printers and even more excotic ideas. That's not the biggest though. The price has come down from several hundred thousand dollars to below $300 for a machine that produces comparable quality. That alone should tell you quite a bit about how Stratasys has been milking the original patent. Despite the patent having expired, we still cannot use the term FDM (Fused Deposition Manufacturing) since this is a trademark of Stratasys. 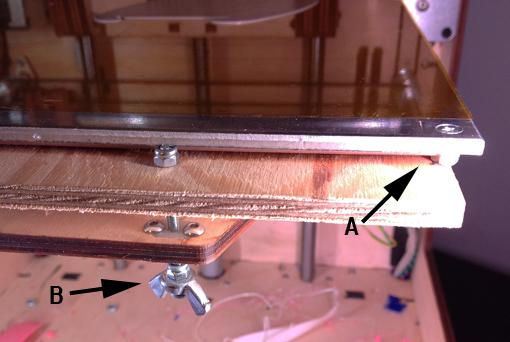 Due to this, the RepRap project has come up with the definition FFF (Fused Filament Fabrication). Other patents are also attached to the FDM patent, preventing the full potential of 3D printing to be realized. Can I break the patent? Yes, but you cannot make a business out of it. In Europe, anyone is free to break patents like this as long as it is for personal use. In other words - you can break the patent, but you cannot sell a kit that allows you or others to break it. This previous weekend I was told that this is not the case in the US, but I have not been able to find good info on it. Please post links in the comments if you know more about US patent litigation and enforcement against individuals.